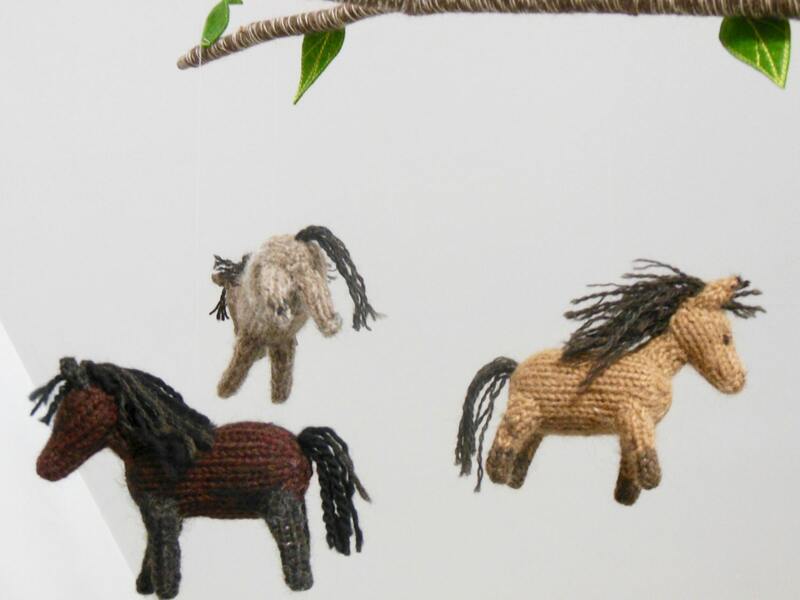 Your little one will love watching these spirited horses gallop through the air. 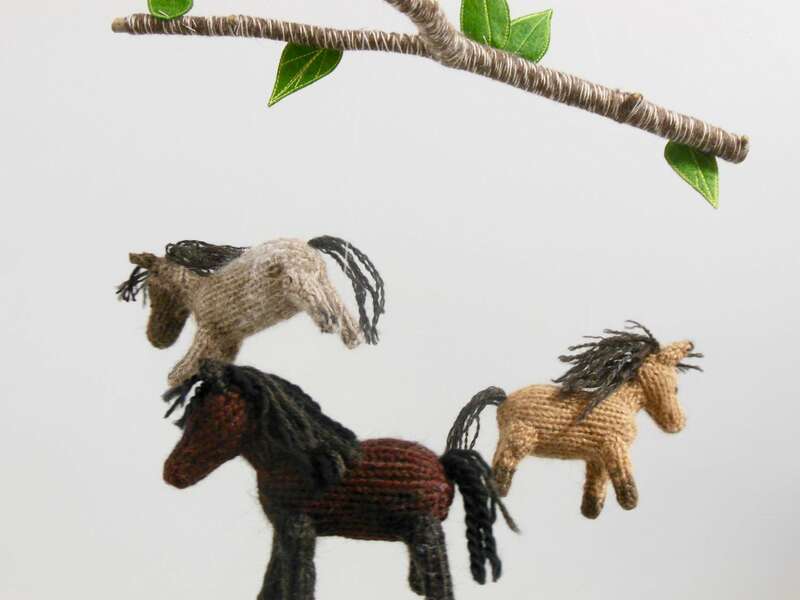 The gentlest of breezes will set the three horses frolicking about under the tree branch. 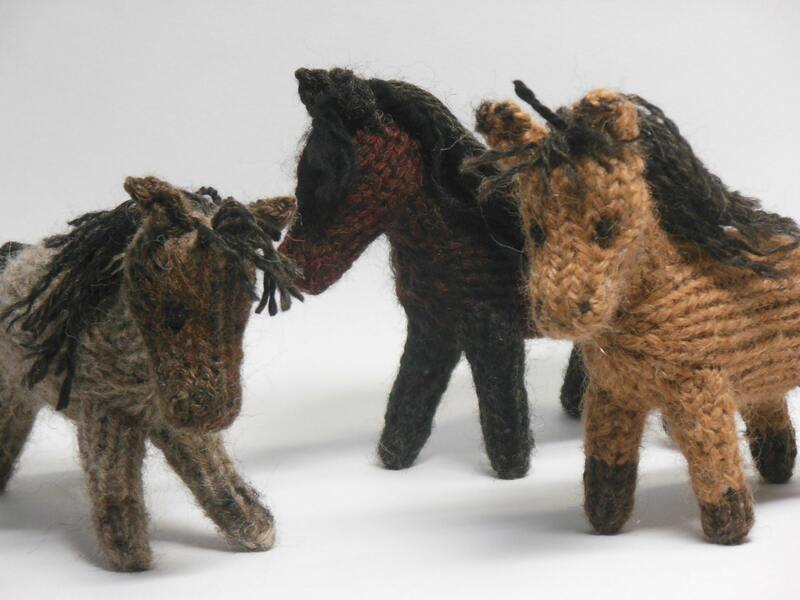 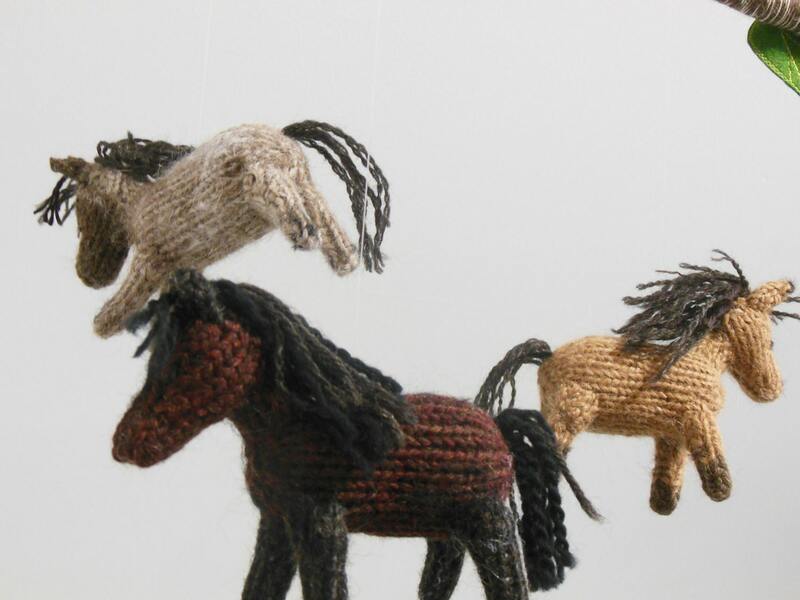 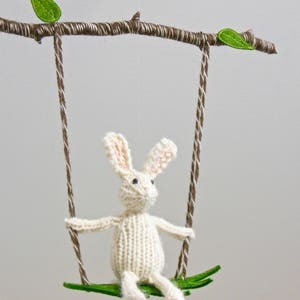 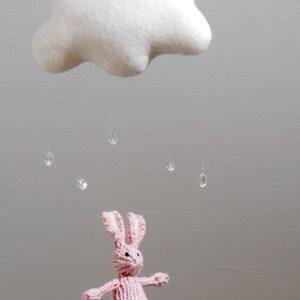 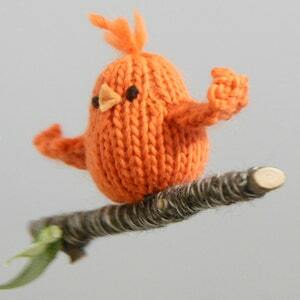 Each animal is hand-knit, embroidered, and stuffed with high-quality natural and eco- friendly fibers. 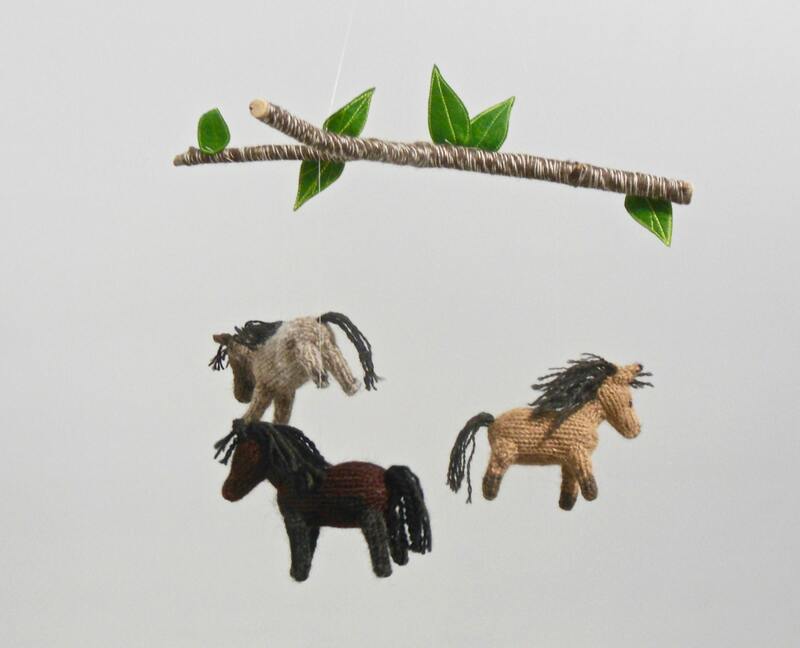 The mobile is created with real branch wrapped with undyed wool yarn. 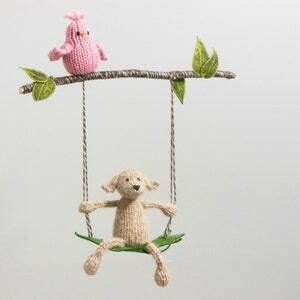 Wool felt embroidered leaves accent the mobile and add a pop of color.